There are few terms in the trucking industry that make some drivers light up and others demur quite like the phrase, “long haul trucking.” For some, the longer route has been a way of life since they first got behind the wheel. Others see it as the grueling leg of the trucking journey, promoting a lifestyle vastly different than others in the community. A long haul trucking position is not the ideal truck driving job for an inexperienced trucker, nor is it a particularly easy task for someone who has the necessary experience that a true road warrior needs. The fact of the matter is that long hauls, as grueling as they may be, are vital for consumers in the country and have been a staple of the trucking community since the early days of commercial transport. It is important for all drivers to understand what is entailed with long haul trucking, from the most green drivers to those who are seasoned professionals. As counter-intuitive as it may seem, the concept of long haul trucking does not find its roots in the early days of transportation. Some individuals who are fresh to the industry may imagine that a trucking job where the driver takes on several states over the course of a few days is the norm, but it is relatively new for the world of driving jobs. Back in the early days, drivers in Texas did not make the trek all the way to California, they simply stayed in Texas due to technological and mechanical constraints. 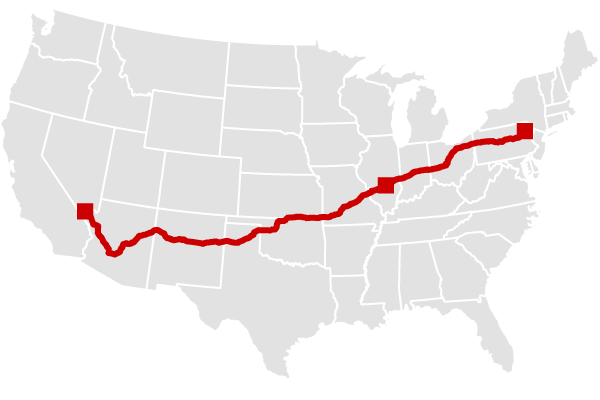 Nowadays, the idea of a driver taking a route that originates in Southwest and goes all around the country is relatively normal, and in some cases, expected. Long Haul routes are more common than ever in 2017, with shippers across the nation expected to deliver goods to nearly any destination to meet their demands. Long Haul Truckers are the lifeblood of the instant-gratification culture that so many Americans have become accustomed to, in addition to supplying the goods that consumers use and need daily. In a long haul position, a driver is accomplishing a great deal more than moving freight, they are suppliers of some of the most essential goods on the platform of American commerce. 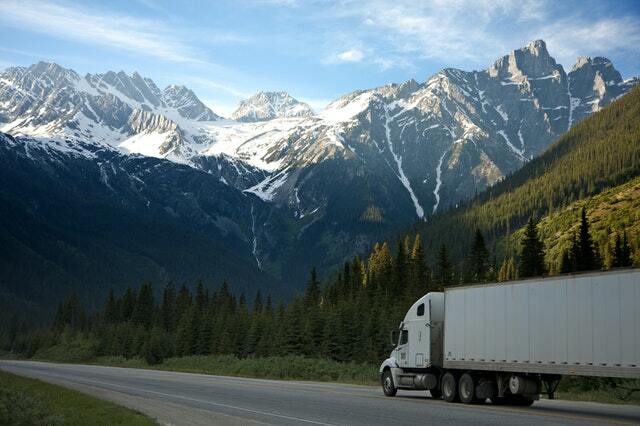 What Can Drivers Expect From Long Haul Routes? Consider all of the tall tales you may have heard about the long haul lifestyle over the course of your driving career. The seemingly sleepless nights, the stress placed upon one’s body, the feeling of extreme importance placed upon one’s timeliness on the road – a fair majority of these stories may be true. However, it may be difficult to distinguish between fact and fiction when examining the industry of long hauls. Despite the numerous perks that this particular type of trucking can offer, there are many myths surrounding it that may discourage drivers from taking on such a position. While the average yearly miles driven by a trucker are typically closer to the 120,000 – 130,000 mile mark, a long haul driver can expect a much larger sum of miles on their plate because they must often traverse the lengths of the country during the course of the job. It’s not unusual for long haul drivers to be pushed to the limits – within the legal realms of operation, of course. Many professionals would agree that the perpetuated notion of drivers who take on extended routes become unhealthy and unable to maintain relationships is utter nonsense. While long days of trucking can present nutritional and physical challenges, a small bit of proactivity and knowledge will prevail. As far as maintaining relationships go, drivers have several options available to them to keep in touch with their loved ones, and will always see days off no matter how long the route. While a major factor that determines a driver’s salary comes down to the company they work with, the inherent nature of these jobs find more money in a driver’s pocket than many other careers in trucking. On average, a line haul driver can make an annual figure of $60,00 - $70,000. In some circumstances, a driver may even see close to $100,000, pending that they are willing to be on the road for long periods of time. Any truck, in any state at any given time has the ability to breakdown or experience technical difficulties. While it is true that long hauls will put miles and potential stress on a commercial motor vehicle, routine maintenance and regular pre-trip inspections will ultimately be a driver’s best line of defense. Simply because the miles are arduous does not mean that a truck or any equipment will automatically fail. Such a distinct class of trucker job openings has seen a great deal of evolution over the course of its existence. Coupled with that evolution is the ingenuity of drivers who have discovered ways in which to make life on the road slightly easier. The following are some tips collected from professionals over the years in order to help the next generation of drivers succeed. Don’t Get Hungry, Plan Ahead - As opposed to avoiding meals or opting for the unhealthy option, drivers who are on the road for long periods of time have found that prepping for meals has helped reduce the physical toll driving may take on one’s body. Keeping fruits, vegetables, and snacks with high-protein around is a much better game plan than reaching for a bag of chips. A Good Night’s Sleep Beats Coffee – Regular and uninterrupted sleep can be one of the most valuable tools that a driver has at their disposal. Set your sleeping space up with a comfortable and ergonomic mattress and establish a nighttime ritual that is conducive to thorough sleep. Some people believe that caffeine is the answer to a restless night of sleep, but that is only a temporary solution to a larger issue. An Ounce Of Prevention – Planning ahead isn’t just for meals, it’s an important and useful habit for every truck driver in nearly every circumstance. Checking a vehicle before a trip in order to catch any early issues is incredibly useful, as is planning a trip in advance for the most efficient route. Look ahead at the weather and know what climate you may be facing – a place like Wisconsin, for example, will see snow during the winter, without fail. Planning ahead is not just about finding the fastest route. It’s about looking ahead in order to save money, time, and practice safety on the road. It is always of the utmost importance to practice safety behind the wheel no matter what the length of the journey one is embarking upon. Bearing this in mind, a long haul is an important setting in which to be diligent and professional. To dispel the myth once again – taking on one of these routes is not an automatic acceptance of an accident or any other peril, it is just simply a presentation of more miles to a driver. Many drivers have been with companies for years and experienced little to no trouble on the road, often taking home special awards or merits for their continued care over the course of their job. Previous generations of drivers were indisputably representatives of the golden age of trucking, but they may have suffered several mishaps due to the lack of a culture that promoted safety or planning ahead in one’s job. Furthermore, while many driving stalwarts may dismiss technology as a factor in reducing trucking mishaps, it is likely that technology has aided the industry in this respect more than it has hindered it. To the credit of the older generation of drivers, all the technology available cannot help poor driving skills or bad judgement of a driver. If nothing else, a driver should care about the well-being of others on the road. In highly congested freeway systems like those found in Florida, truckers cannot be passive in their driving skills. A driver must actively focus on their job. Respectable driving habits stem from alertness, know-how, time management skills, and an overall concern and pride in one’s presence on the road. To care about safety is one level of mastering the road, to know how to act safely is another level of driving comprehension entirely. Drivers both new and old should not be wary of long haul positions – they ought to embrace them and understand their supreme value in the industry of trucking as well as the personal success they may achieve when taking on such a career. The bottom line is that the world of trucking needs individuals who can take on long haul routes, and many drivers need the support and consistency that such a run can offer. Take a look at the options the trucking companies around you have by way of long haul careers and speak to a representative or a recruiter in order to find the perfect job opportunity for you.